We Use Them Daily But… Are Microwaves Safe? Do you have a microwave in your home? 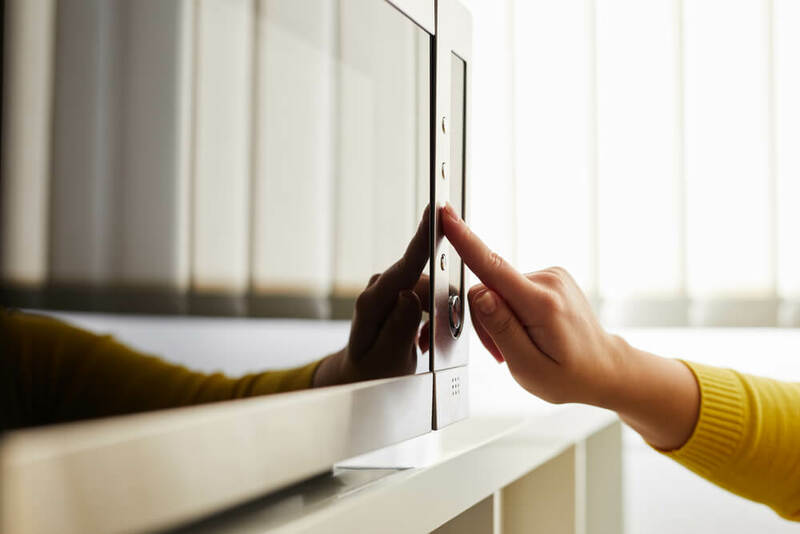 Have you ever wondered “are microwaves safe?” Here we are going to touch on how to use a microwave safely and give you some information about what microwaves are and how they affect the food that you eat. When it comes to heating your food in a microwave you are often compromising your health for convenience. Why? As stated above, microwaves vibrate your food until it creates enough heat to warm it up ultimately changing the food’s chemical structure. It’s a common belief that food heated in a microwave is cooked from the inside out, not true. According to the FDA, microwaves heat food where water molecules are present, and often times in thicker foods there are less water molecules towards the middle. This means that the food will begin heating on the outside and the inside will heat up from the conduction of heat from the outer layers. Seems odd when you think about the way what goes into your body is heated up. Let’s add another thing… What are you heating your food in? If you are heating up your food in a plastic container, when it is heated up, toxic chemicals can contaminate your food. Not to mention that some of these chemicals that are released from plastic when heated up can be carcinogenic. Specific containers have been made and are labeled “microwave safe.” Check what you have at home and throw away anything that isn’t microwave safe – such as the containers you kept after delivery last week. Before you go to use your microwave this afternoon, or even to heat up your food think about some of these microwave safety tips. Maybe you should even consider these tips as ways to convince you to not use your microwave and instead plan ahead and use other ways to heat your food. No matter what you decide when it comes to your use of your microwave, think about how to use a microwave safely in order to not harm yourself or a loved one. Are microwaves safe? There is a lot of research available that states the dangers of using microwaves and how it can affect your physical health. Make sure that if you do have a microwave you read about how to use a microwave safely in the user manual and keep up to date on microwave safety tips. If you are able to heat your food on the oven instead of on the microwave, do it. If you are able to plan ahead so you can avoid heating things in the microwave, do it. Remember to not compromise convenience for your health.